Welcome to Vicwreckers website the no:1 place to sell or scrap your car! Based in Dandenong of south Melbourne provide a fast, and reliable, vehicle collection service for scrap cars and end-of-live vehicles (ELV’s). 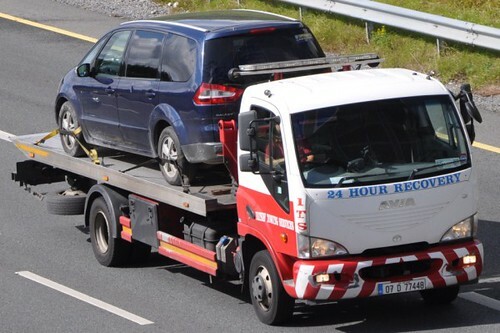 Cash Car Removal Melbourne will collect your vehicle from anywhere in Melbourne and, unlike some companies, we will pay you for your scrap car. The value of your vehicle will depend on a number of factors, including; age, condition and the area that the vehicle is in. The value of scrap metals changes daily so please call us for an up to date price. Can I Get Paid For My Scrap Car? Yes! Melbourne car wreckers give their customers expert advice and assistance in the removal and destruction of scrap cars. We will buy your write-offs, Road-worthy failures and all unwanted trucks. We can buy your scrap car, truck or van today! What are you waiting for? Scrap your car in Melbourne today! If possible, send us images via Whatsapp or our online form to help us get you the maximum price for your vehicle. We can pay CASH for vehicles which are purchased for resale. Some scrap cars are worth more to us than others. Later models, roadworthy cars, vehicles suitable for export may all be worth that little bit extra, so give us a call for our best price. Will I really be paid cash for my old car? Yes, unlike normal scrap metal, which cannot be bought using cash, it is still legal however to buy scrap, old or unwanted cars for cash. Before you arrange the collection of your car please confirm that you need cash payment and we will arrange that for you. The price that you have been quoted is the price that you’ll be paid for your car by us on collection. Other auto wreckers often try to re-negotiate the quoted figure paid upon collection. 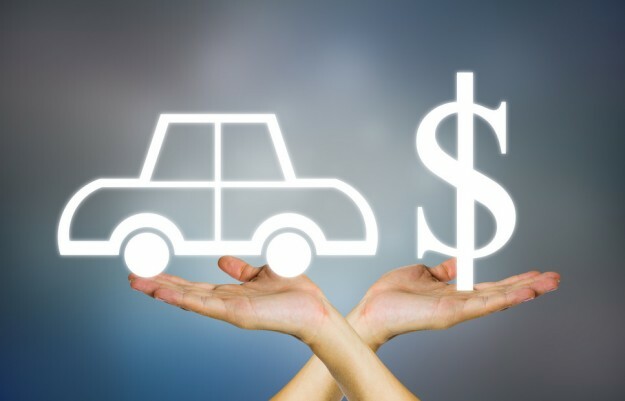 It does not matter what condition your car is in, as long as there’s metal to be recycled and parts to be removed from it, you can look forward to getting the money you deserve. Cars are generally scrapped when they fail their road-wrothy, crash, break down or simply reach the end of their lives. In the past, drivers had to pay to have their cars removed and taken to a scrap yard, but the problems caused by car that were abandoned led to government incentives to scrap your car using all the correct legal channels. What’s more is that scrap metal has increased in price over the years, so when your car does reach the end of its life on the road, this does not mean that it is not of value to others. Find your Australia local car scrap yard: Brisbane auto wreckers, Perth auto wreckers, Sydney auto wreckers. This entry was posted in Blog and tagged auto Removal Melbourne, Auto wreckers pick up cars Melbourne, Car removal melbourne, Cash Car Removal, Cash Car Removal Dandenong, Cash Car Removal Frankston, Cash Car Removal Melbourne, Cash Car Removal Melbourne east, Cash Car Removal Melbourne north, Cash Car Removal Melbourne south, Cash Car Removal Melbourne west, Cash Car Removal Mornington, Cash Car Removal Pakenham, Cash Car Removal Victoria, Cash for Car Removal Melbourne, Junk Car Removal Melbourne, Scrap Car Removal Melbourne, wreckers buy cars Melbourne on February 26, 2017 by vicwreckers. Would you like to scrap your car for cash in Melbourne? How about getting a great price for scrap car in Perth? If so, then you have come to the right place! Scrap Cars Melbourne can provide a very professional scrap car collection service in Melbourne. We can collect and uplift your unwanted scrap car, we provide a scrap car collection in Melbourne & Victoria wide service. We give everyone good prices for scrap cars in Melbourne. It does not matter where you are, as our Scrap Cars Melbourne services are available in all Melbourne suburbs. Contact us today by phone or using our easy online form, and we will offer you a price to buy and uplift the car for you… If you’re happy with our price, you get some cash for your scrap car today (in most cases). It’s as easy as that! We can pickup scrap cars, unwanted cars, accident damaged cars, RW failures, & scrap commercial vehicles. We also break down and recycle your vehicle in the legal way, filling out all of the required disposal paperwork. Even if your car has no roadworthy, Registration, or the vehicle is damaged. We want to buy it from you. We are the No1 choice for Scrap Car Services, Scrap Car Collection, Scrap a Car for Cash in Edinburgh. Contact us today if you want cash for your old car and leave the scrap cars collections services to us. Scrap Cars Melbourne & Car Wreckers Melbourne – We will provide you with the best cash for scrap cars collections services! Scrap a Car For Cash today, call 03 8753 1411 now to Scrap Your Car For Money.If you have an old or damaged vehicle, contact us today for scrap car collection, or cash for any scrap car services anywhere in Australia. Remember, you can get in touch with us either by calling the number above, or using our easy only quotation form. Now you know what we do, contact us today if you would like CASH for any scrap car, and for any scrap car collection … ANYWHERE in Melbourne. Find your nearest local car breaker: car wreckers Perth, car wreckers Brisbane, car wreckers Gold Coast, car wreckers Sydney, car wreckers Auckland. This entry was posted in Blog and tagged car scrappers Melbourne, cash for scrap cars melbourne, Scrap Car Removal Melbourne, SCRAP CAR YARD MELBOURNE, Scrap Cars buyer Melbourne, Scrap Cars for cash Melbourne, Scrap Cars Melbourne, Scrap Cars Melbourne east, Scrap Cars Melbourne north, Scrap Cars Melbourne south, Scrap Cars Melbourne west, Scrap truck Melbourne on July 13, 2016 by vicwreckers.